On May 22, 2012 the last amazing building in Tokyo was finally opened: the Tokyo Sky Tree, a new telecommunications tower, the world's tallest (634 meters) one, and also the second tallest building ever after the Burj Khalifa in Dubai. The tower was built to place, on its top, various radio and television antennas previously located on the famous Tokyo Tower. It was built with sophisticated anti-seismic systems that, according to the engineers, can absorb up to 50% of the energy unleashed by an earthquake, and can theoretically resist up to a magnitude 7.0 earthquake with its epicenter under the tower. 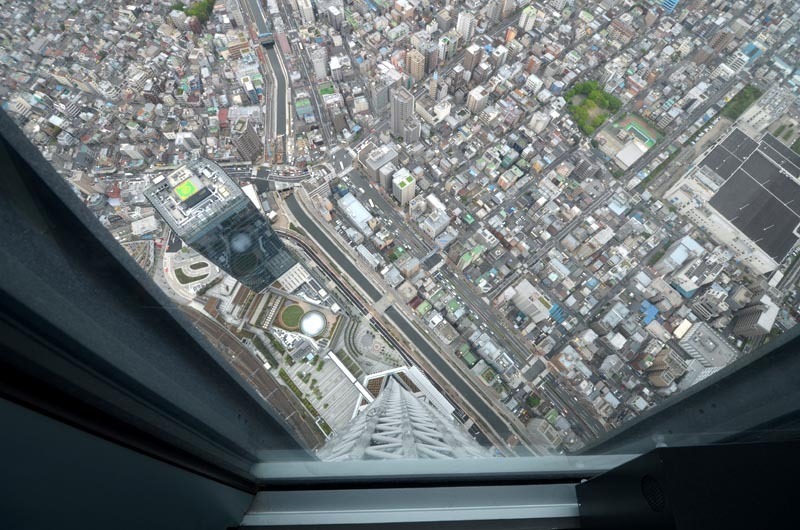 Buy online Tokyo Skytree skip-the-line tickets The Tokyo Sky Tree has two panoramic observatories open to the public, called Tembo Deck and Tembo Galleria (Tembo Gallery). 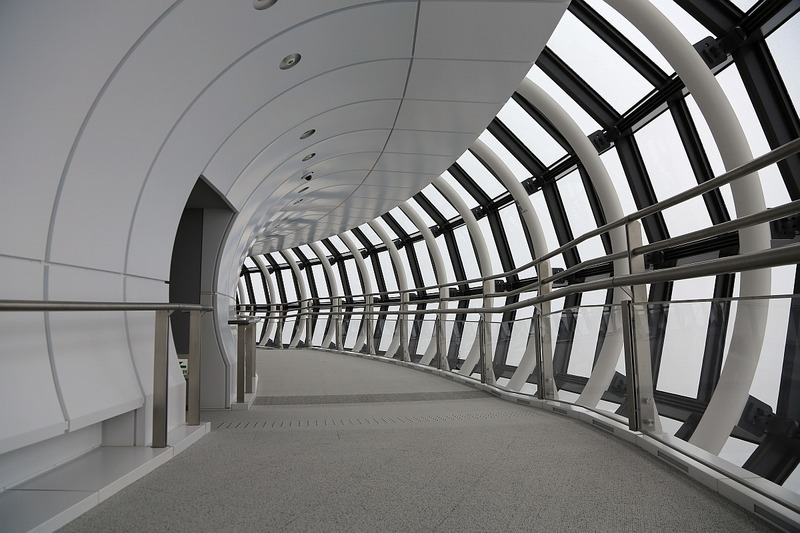 The first observation deck is divided into 3 floors at a height between 340 and 350 meters, you can get there in about 60 seconds by taking the fastest elevator of Japan (this record previously belonged to the Landmark Tower in Yokohama). There is also a cafe, a small gift shop and a restaurant (Musashi Sky Restaurant). The ticket office is on the 4F of the Tokyo Solamachi shopping complex (see below). Should you find a long queue, it is available only for foreign tourists (you have to show your passport) a ticket office selling priority tickets (Skytree Fast Ticket), they cost 3000 yen for the Tembo Deck and 4000 yen for the Tembo Galleria. If you are together with some Japanese, they will be allowed to buy this type of ticket too. 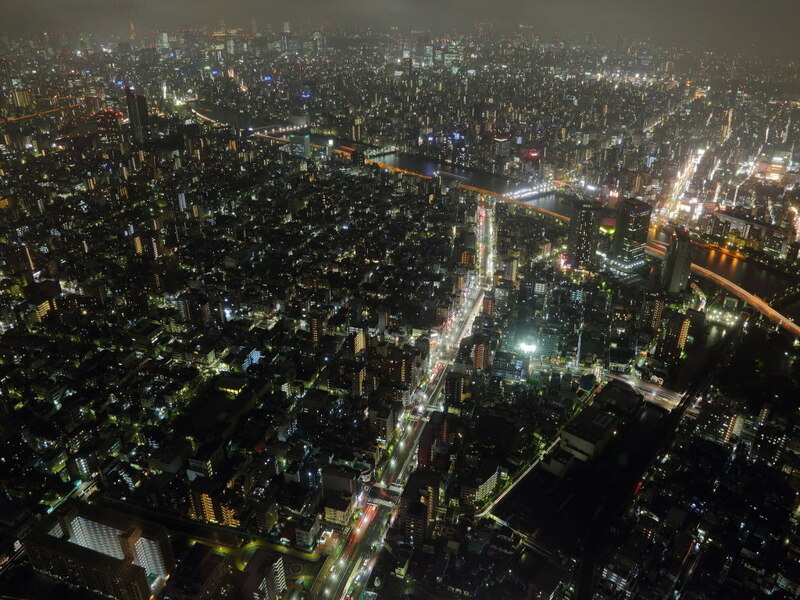 The admission ticket to the highest observation deck of the tower can be purchased at the Tembo Deck and costs 1030 yen (in all you will pay 3090 yen, 2060+1030). From the Tembo Deck, by taking another lift, you can reach a height of 445 meters, and from there you can start walking along the skywalk, a sloping spiral ramp circling the tower, and get to the highest point of the tower accessible to the public, at a height of 451.2 meters. 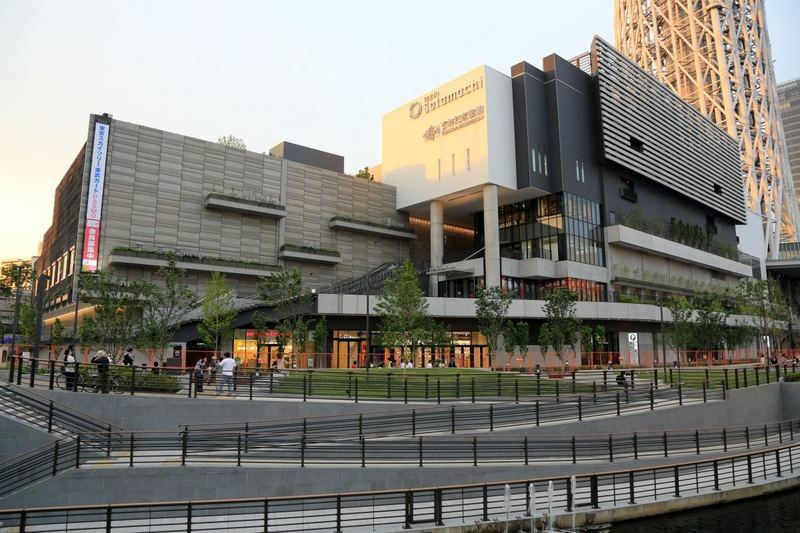 A huge shopping mall at the base of the Tokyo Sky Tree, inside there are about 300 shops and restaurants. The ticket office and the elevators to go up the Sky Tree are located on the 4F of this complex. The complex consists of 5 floors (1F-5F) and a skyscraper, the Skytree East building: on the 9F of this building you can find the Postal Museum (300 yen, 10-17), a museum about the history of the postal service in Japan and with a collection of stamps from around the world; on the 30F and 31F there are a few panoramic restaurants. Two special attractions are located inside Tokyo Solamachi, the Sumida Aquarium and the Tenku Planetarium. 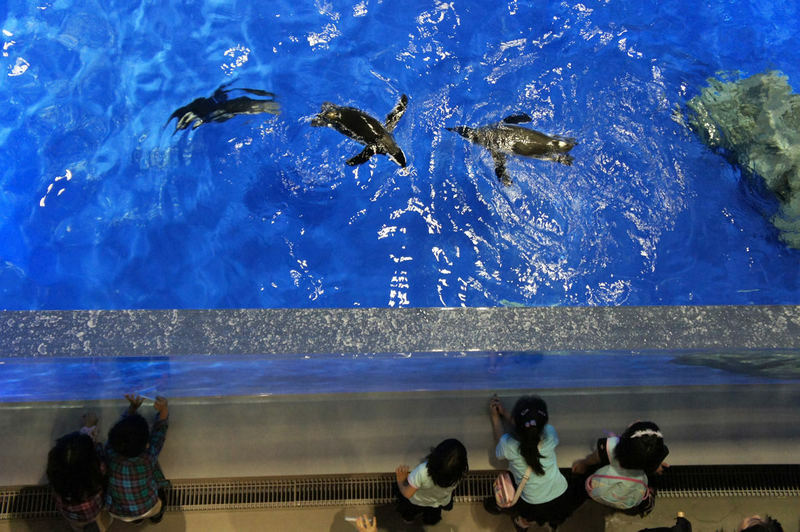 (admission 2050 yen, opening hours 9-21) An aquarium, the entrance is located on the 5F of Tokyo Solamachi. 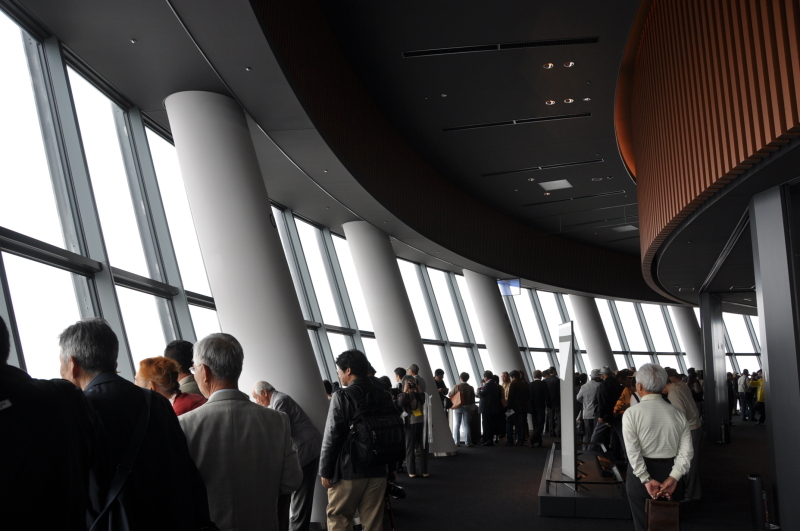 (admission 1100 yen, opening hours 11-21) A planetarium, the entrance is located on the 7F of the Skytree East building. Luxurious restaurant of Japanese-French fusion cuisine on top of the Tokyo Sky Tree, with most of the tables placed next to the windows, from which to enjoy a sensational view. In order to have lunch or dinner at this restaurant you need an advance booking, which can be made at a dedicated corner near the ticket office of the Sky Tree (4F), by phone, or online through this website (also in English), where you can also take a look at the prices and the restaurant menu. 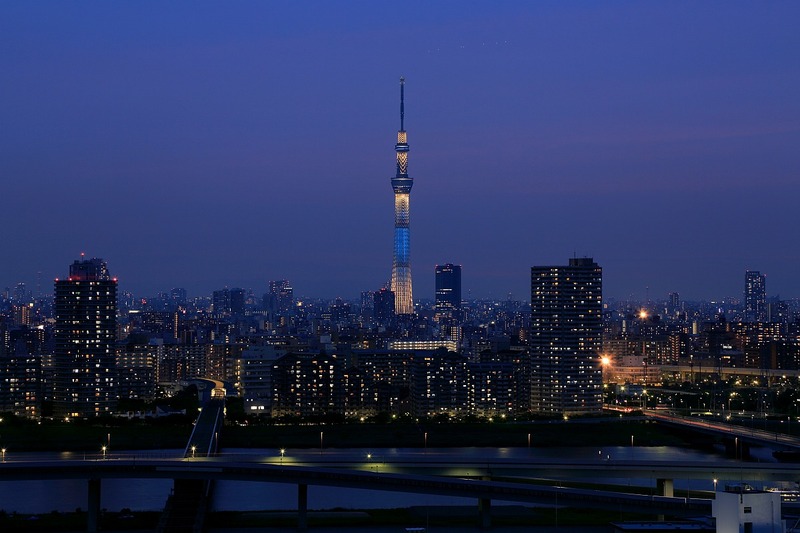 The Tokyo Sky Tree is located in the special ward of Sumida, on the east side of the city. The nearest "touristically famous" area is Asakusa, approximately 1.5 kilometers away, on the other side of the Sumida River. From Asakusa station you can take the Tobu Sky Tree line (formerly known as Isesaki line) until the next stop, that is Tokyo Sky Tree station (formerly called Narihirabashi station). Another very close station is Oshiage station, terminus of the Hanzomon line of Tokyo Metro (without changes from Shibuya, Omotesando, etc) and of the Asakusa line of Toei Metro (without changes from Shimbashi, Higashi-Ginza, Asakusa, etc) and also served by the Tobu Isesaki line and the Keisei Oshiage Line.